Many thanks to Dr. Shulamith Weitz, the daughter of Dina Reich, who helped identify many people in the photos below. Dina Reich was close to Sharon in the early "Shomer Hatzair" days in Yaroslaw. 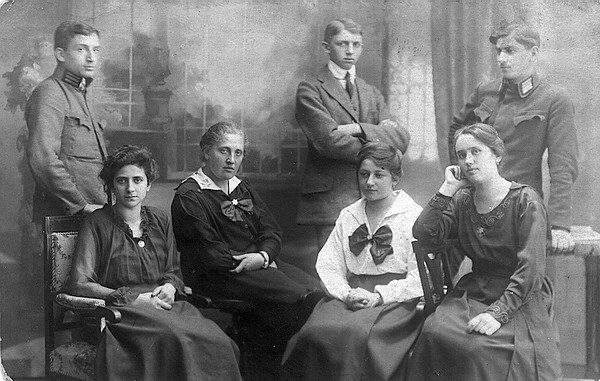 Seated from right: - B.Graf. - M. Blumenfeld. - Sonya Bin. - Dina Reich. Standing from right: - Sam (Monk) Spiegel. - Sharon. - Hersch Gotdenker.